To me the South East of Nigeria is home, a place of fond childhood memories, friends and food traditions. No were else than in the Markets located in the town of Enugu, can you find fruits and vegetables in rich abundance. There is always something new to discover. From fruits even foreign to me to vegetables that are unique in taste. Markets are the cities life line, were people come together for company, chatter and explosion. A part of every day life, these markets are at the centre of the cities identity. 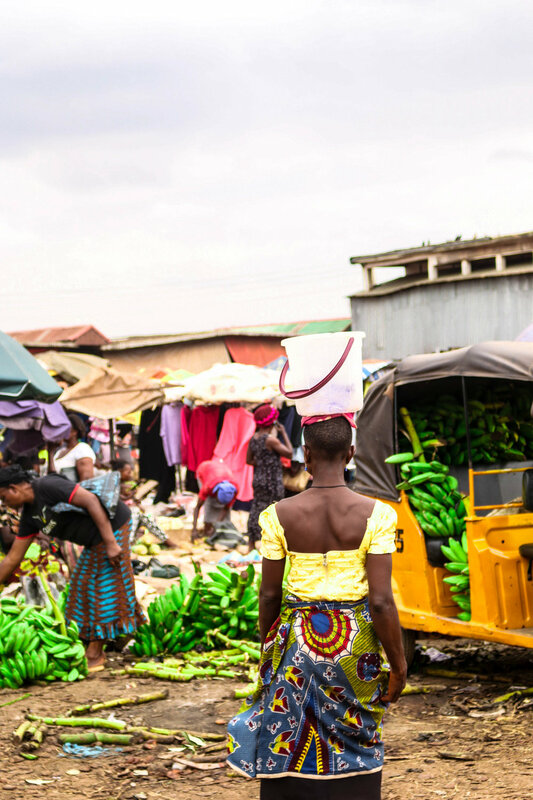 When it comes to Markets in South East Nigeria is all about the product you wish to buy. Some markets are specialized in food while others share the vibrant colors of wax fabrics and intricate lace. No other market is rich in options like Ogbete market. Built on old rail tracks, you step over the tracks as you explore the depth of the market. Stretched out on several square feet Ogbete leaves no buyers wishes open. From food to artisan products, fabrics to every day home supplies. This markets became one of my favorites, the large scale size and the different departmental make up of the market drew me back to explore more over and over again.